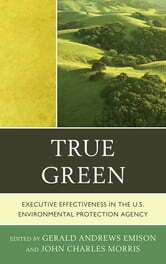 Drawing on the careers of senior executives of the US Environmental Protection Agency, True Green identifies the concrete actions that work in protecting our nation’s environment. By examining the exquisitely difficult tasks of executive leadership in environmental protection, one of the most conflicted public issues of today, these scholars provide lessons of executive effectiveness in the principal government institution essential to national environmental progress. The EPA shoulders great expectations from the public and political leaders on fulfilling its statutorily assigned activities. As a result, EPA must act in concert with state and local governments, nongovernment organizations and interest groups, as well as business and industry. This volume also highlights the career civil servants who bridge across from policymakers to the government bureaucrats who must make real the abstract policy choices of politicians. 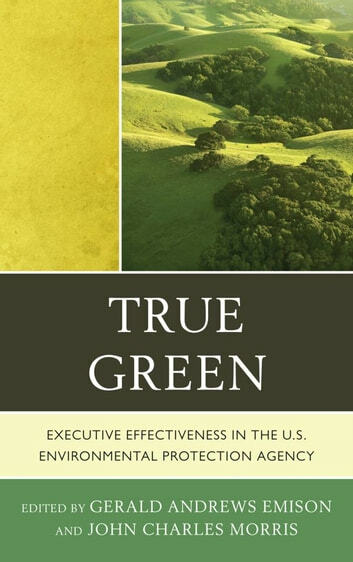 True Green uses the experiences of the individual contributors to provide a deeper understanding of the practices associated with effective executive behavior in the Environmental Protection Agency. Brar Sukhdeep; Farley Sara E. ; Hawkins Robert; Wagner Caroline S.